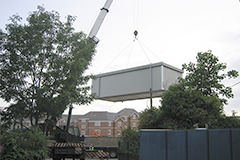 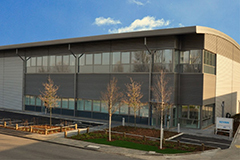 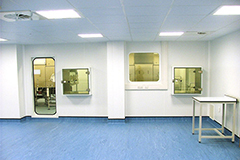 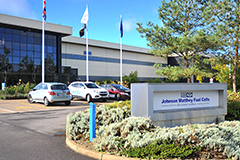 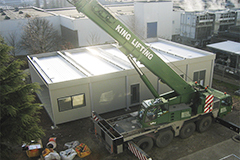 Enbloc were engaged as the specialist contractor to build a ACDP Category 3 containment laboratory in a new building at Southmead Hospital. 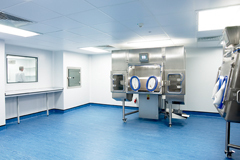 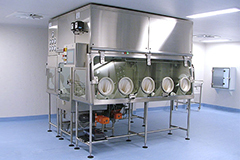 An ACDP Category 3 containment suite is for the containment of all biological agents which can cause severe human diseases and could be seriously hazardous to staff. 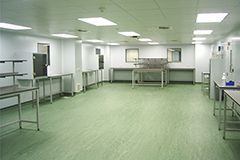 Enbloc reviewed the client’s initial design prepared for the project and developed this into a working solution. 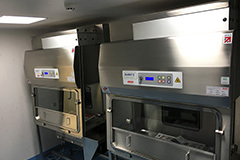 This included comprehensive review of the HVAC system requirements including specification and selection of the air handling unit, extract fans, gas tight dampers, duct materials, sizing and routes and BMS control system. 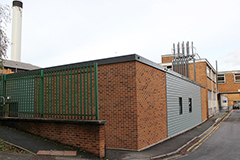 The room was designated as a potential security risk for the client and therefore we designed and selected construction methods to achieve security protection in accordance with Home Office requirements. 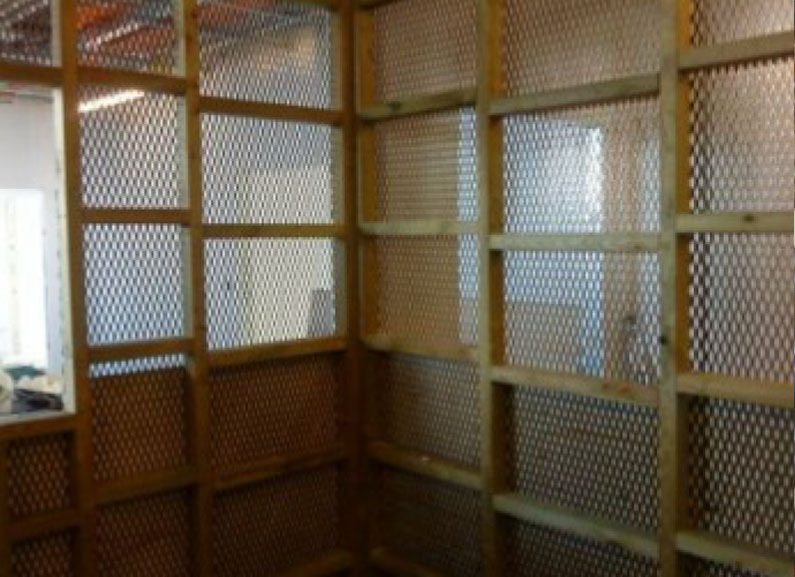 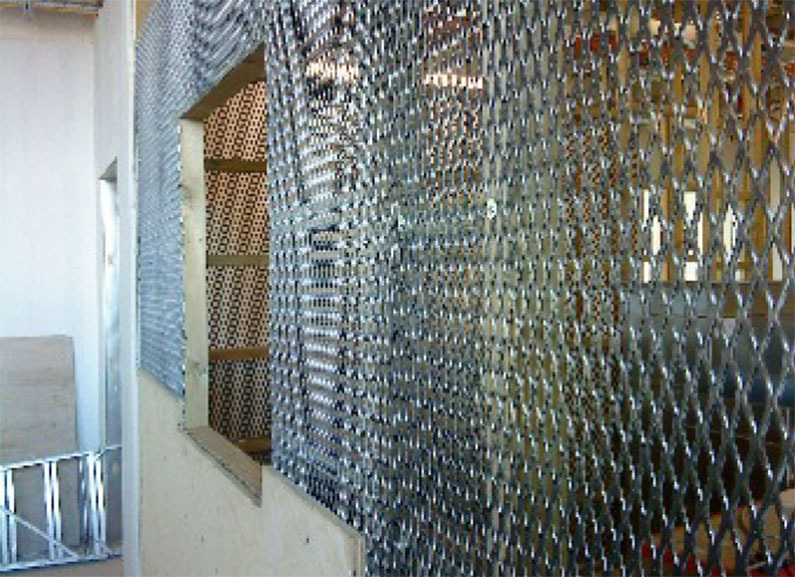 This included installation of steel mesh sheeting within partitions with specific horizontal and vertical spacing prior to fitting plasterboard and application of plaster skim and containment suite finish. 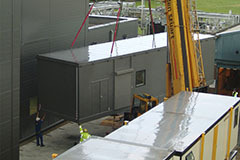 The doors and windows were also of special construction to meet the security requirements. 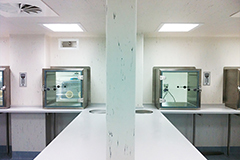 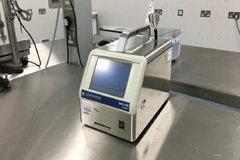 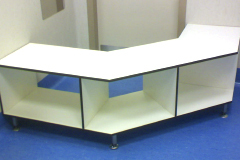 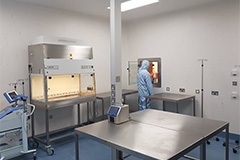 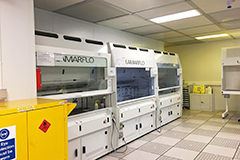 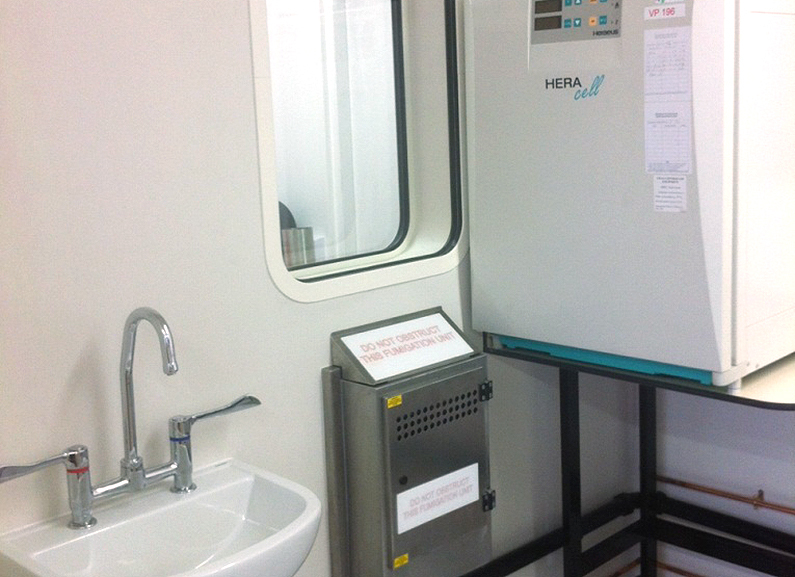 The room was to operate at an air pressure of -30Pa with a -15Pa air pressure in the lobby and the system was required to provide automatic compensation for the running state of a microbiology safety cabinet within the main lab. 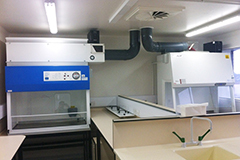 Enbloc designed and installed all the controls systems for controlling the normal operation of the laboratory as well as the fumigation. 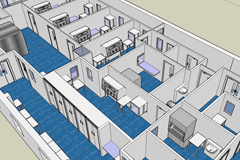 Enbloc designed the room such that all service penetrations were completely sealed and carried out an integrity test with the room under pressure to detect air leaks in the room. 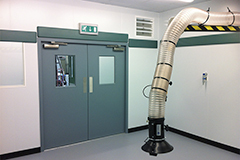 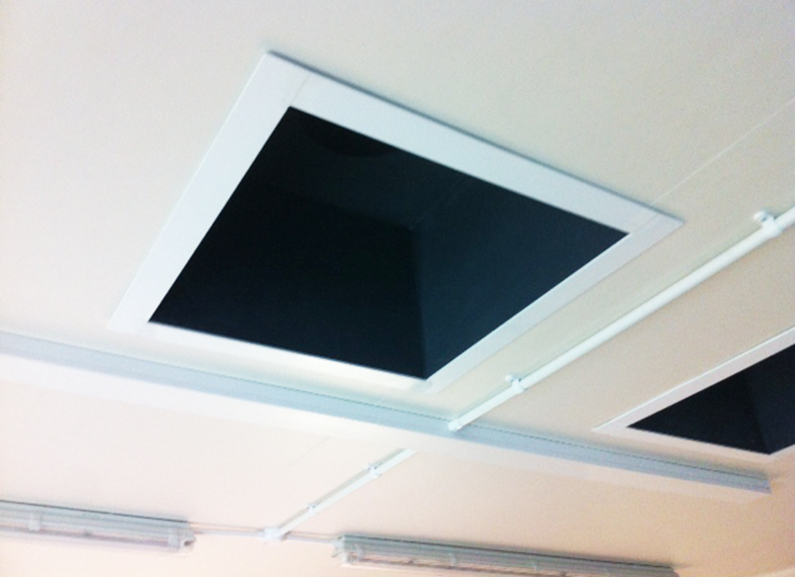 This level of air tightness was required to allow the room to be safely fumigated.